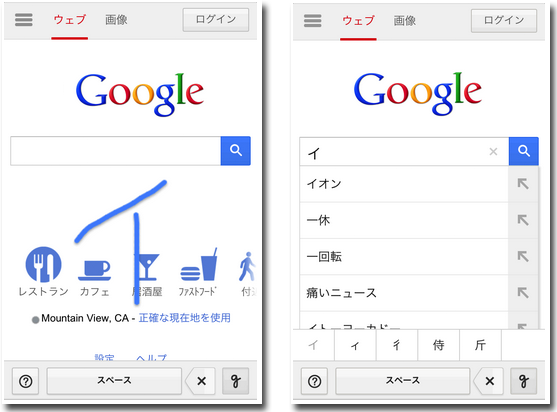 for smartphones and tablets, we’ve been improving recognition quality and also working on a number of features to make it easier and faster to handwrite your searches on Google. You can now distinguish between ambiguous characters, overlap your characters, and write multiple characters at a time in Chinese. Is it an L, a 1 or an I? If you’ve tried Handwrite before, you may have had some trouble entering a lowercase “L”, the number “1”, or a capital “I”. Now, we provide alternate interpretations of your characters that you can select above the space bar. Similarly, in Japanese the characters “イ” and “ィ” look nearly identical but are different characters and produce different search results. 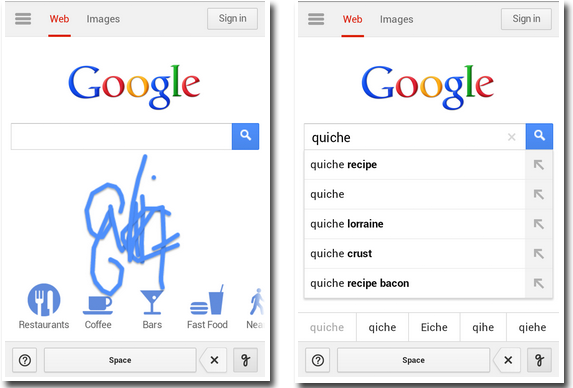 If Google interprets your handwriting one way and you meant the other, you can now more easily make a correction. Compared with tablets, mobile phone screens are smaller and are a little more difficult to write on. Now, instead of squeezing in your letters across the width of the small screen or writing one letter at a time, you can write letters on top of one another. Say you’re in the grocery store and you want to look up a recipe for quiche on your phone. When you write the letters “q”, “u”, “i”, “c”, “h”, and “e”, it’s okay if they overlap and are garbled a bit. 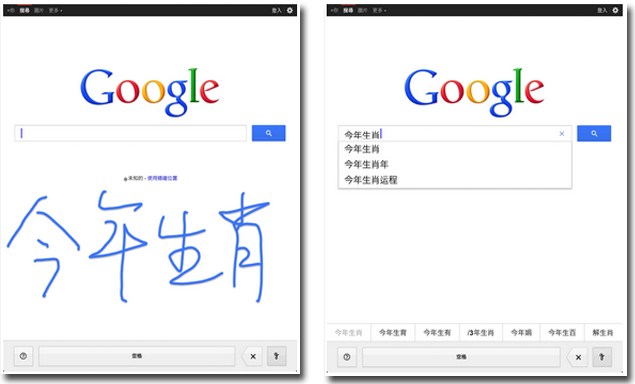 When we first launched last summer, you could only write one Chinese character at a time. Now, you can write more than one character at a time on a line, which makes it much faster and easier to enter your search. 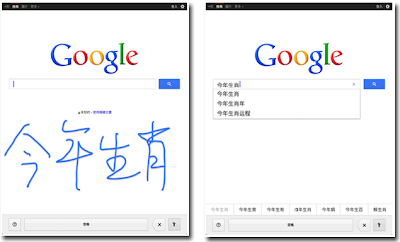 To enable Google Handwrite, go to Google.com on your smartphone or tablet, go to settings, select “Enable” Handwrite, and save the settings. For more tips and tricks, view our Help Center page. Since we launched Google Handwrite last summer for smartphones and tablets, we’ve been improving recognition quality and also working on a number of features to make it easier and faster to handwrite your searches on Google. You can now distinguish between ambiguous characters, overlap your characters, and write multiple characters at a time in Chinese.